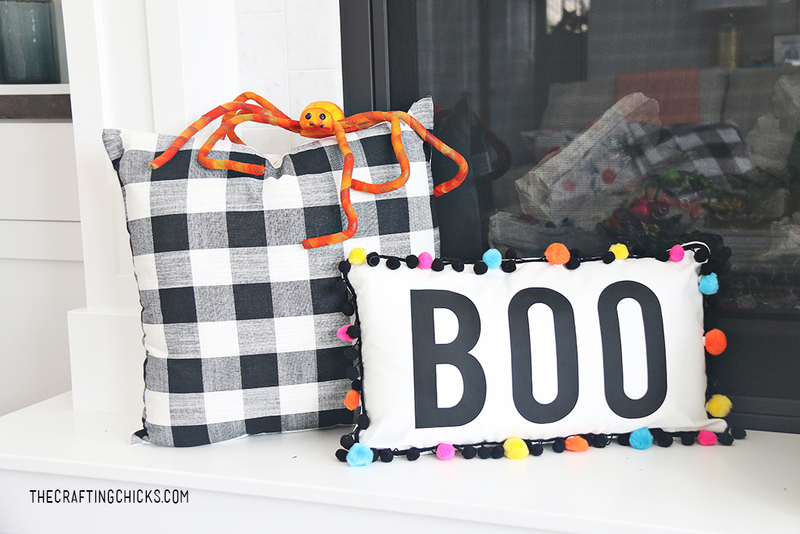 Create this easy “BOO” Pillow for Halloween with just a few simple steps and items. 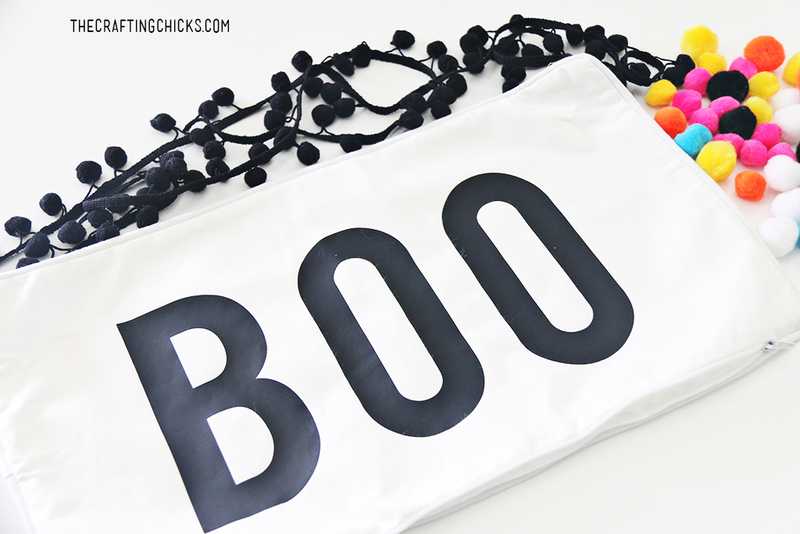 I loved adding bright colors in with the black and white this year for my Halloween decor. 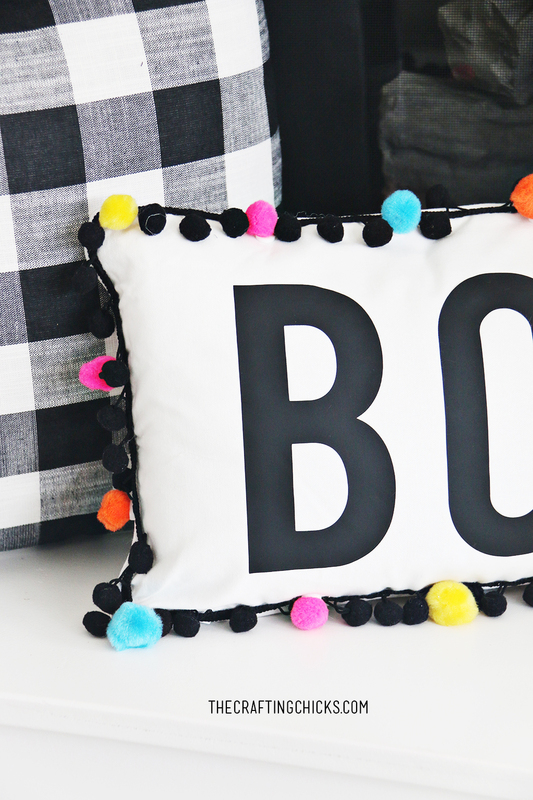 This BOO pillow looks great on my mantle hearth, along side black and white buffalo plaid pillows. 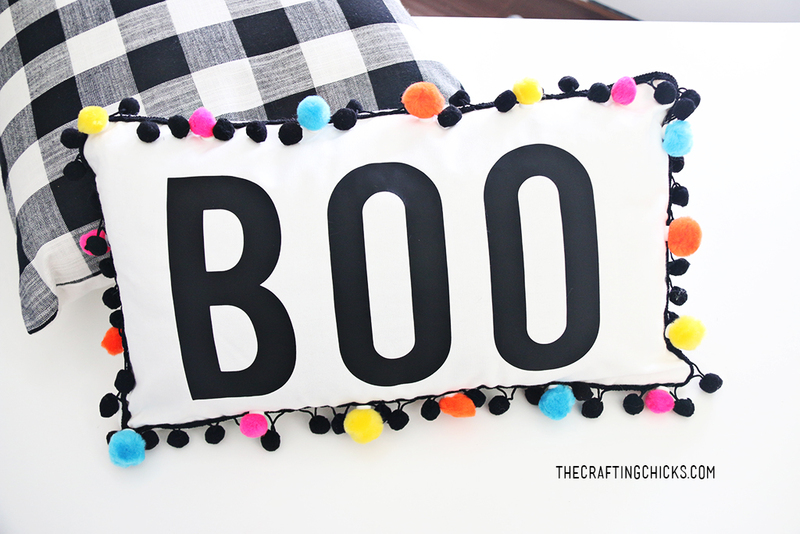 See how easy it is to make your own Boo Pillow for Halloween! Iron on the letters BOO on the front of the pillow, in the middle. 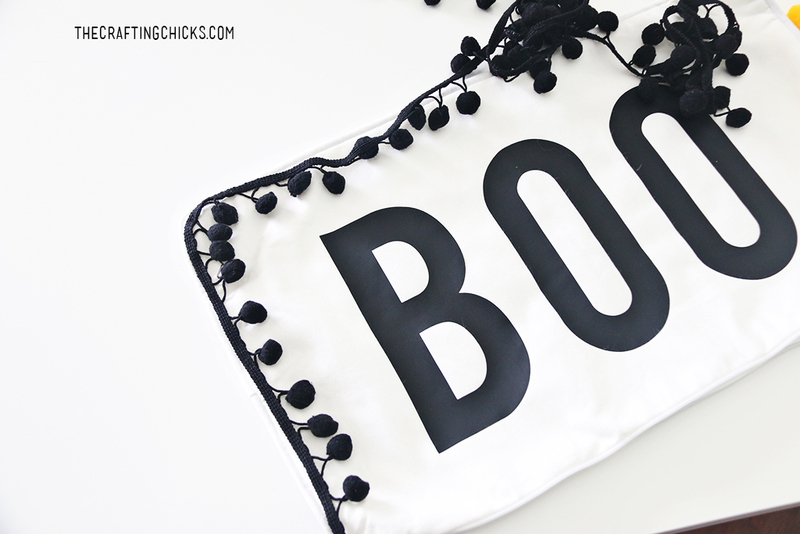 I used my Cricut Explore machine to cut Black iron on letters that say boo. The letters are about 6 in. by 3.5 in. each. I used just regular black iron on vinyl. I think black flocked iron-on vinyl would look amazing too. 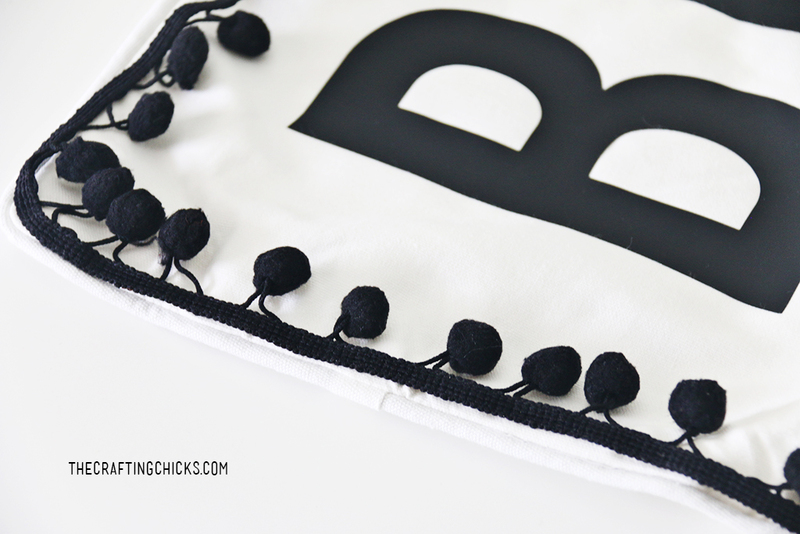 Using a hot glue gun, glue small black pom-pom trim around the edge of the BOO pillow. Go slowly adding just a section at a time. 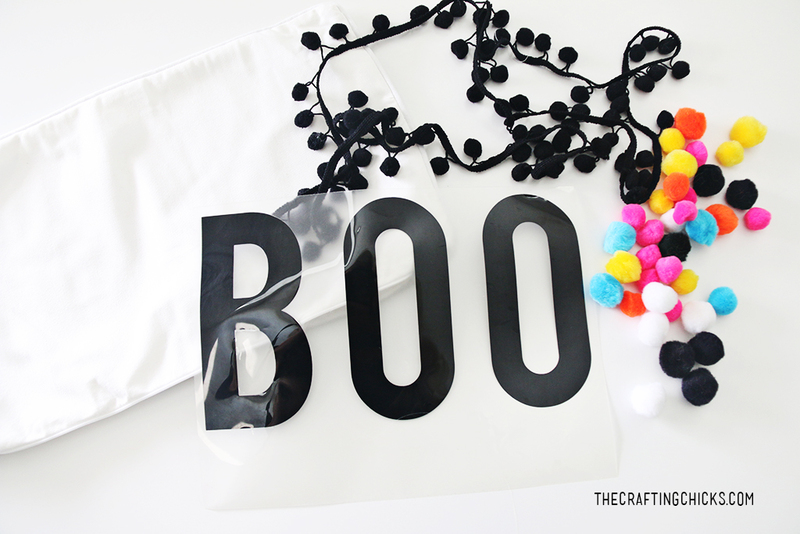 Hot glue on colorful pom pom balls! I love yellow, blue, pink, and orange. 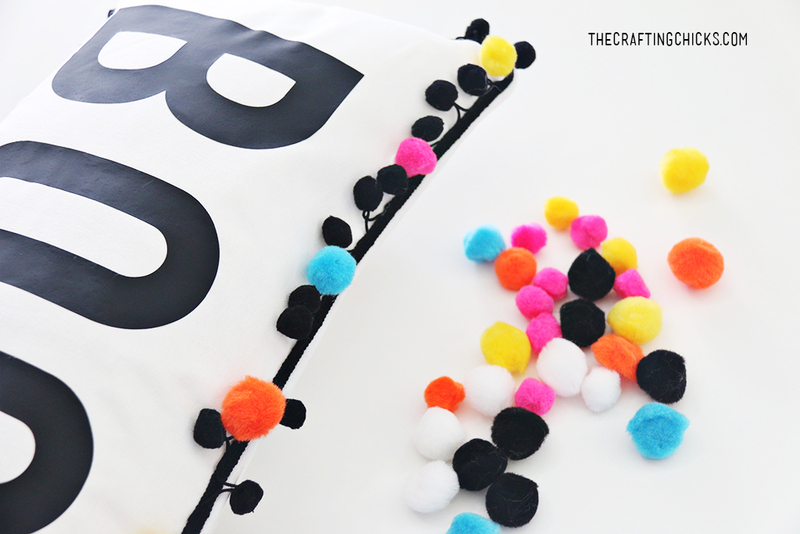 You can create a pattern around the pillow with the bright pom-poms. 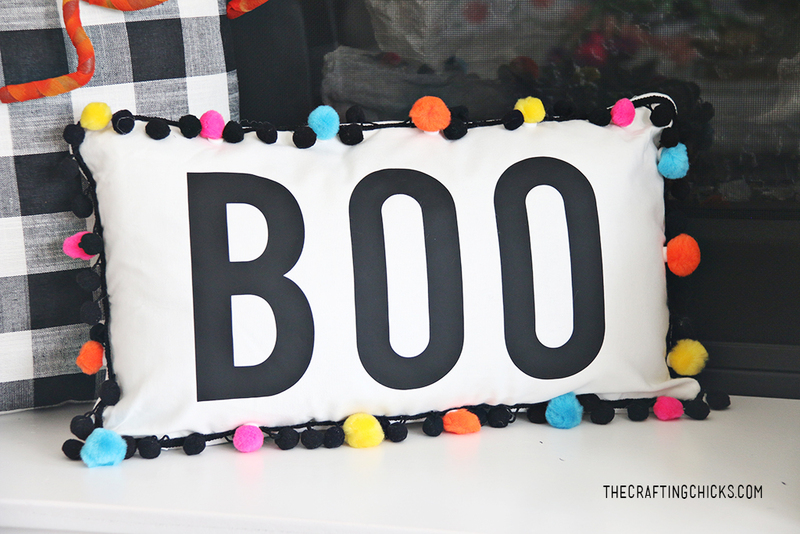 Display your “Boo” pillow on a mantle, porch, or couch for Halloween! 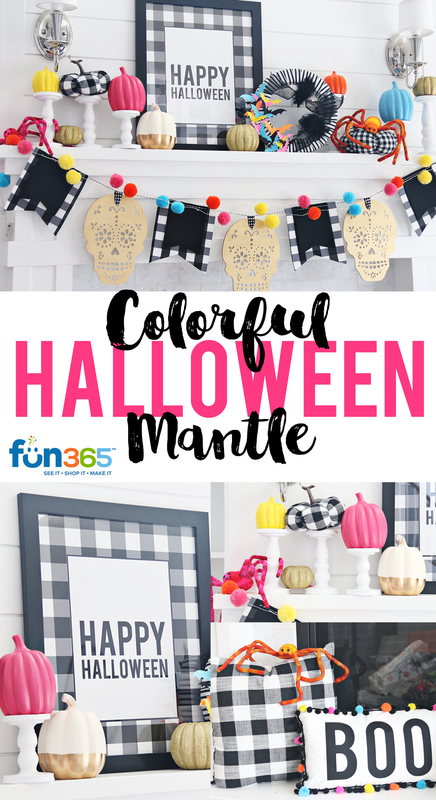 This colorful Halloween mantle is just so happy! The pops of color look awesome with the black and white buffalo print. 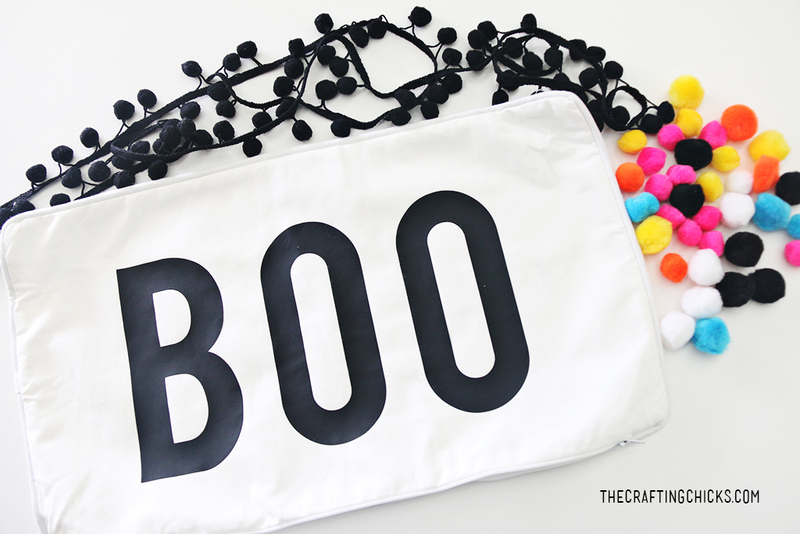 You can grab the free printable Happy Halloween sign too! I created this adorable colorful bat wreath using bright colored paper and bat shapes. 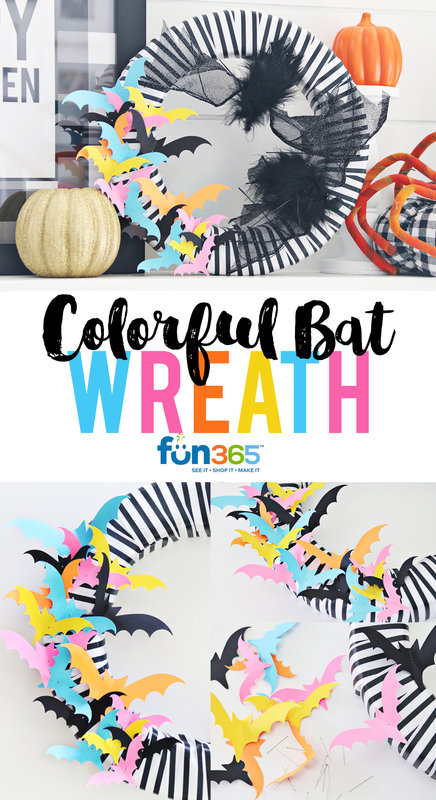 Add the bat shapes to a black and white striped wreath. 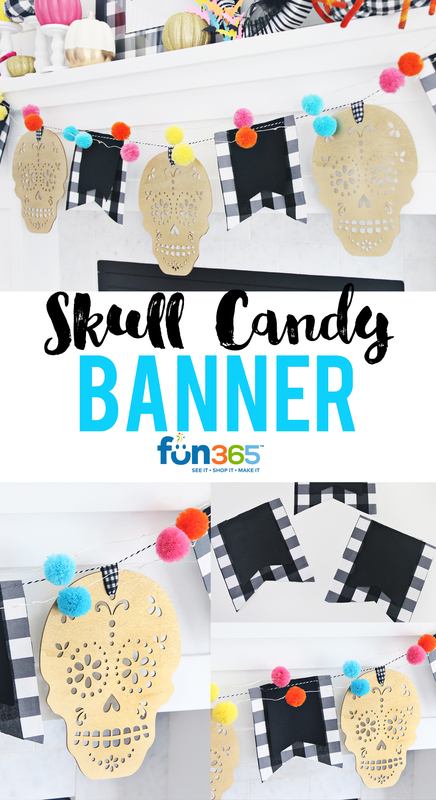 Create this skull candy banner with gold candy skull wood shapes and colorful pom pom garlands.